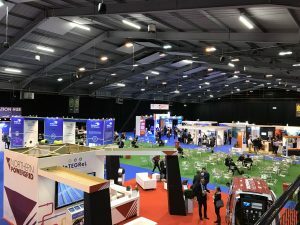 The Low Carbon Networks and Innovation Conference was held at the Telford International Centre in 2018. This is the second year in a row that LCNI has taken place here. The event was organised by the Energy Networks Association. Not only is LCNI a conference, but the event also hosts an exhibition and a gala dinner. 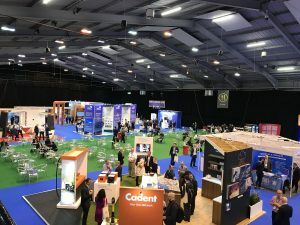 Over 1,000 delegates attended the event which had around 40 exhibitors showcasing their products and services. The exhibition was held in halls 1 and 2 at the venue. Here, companies who were showcasing their business and what they offer had the opportunity to promote their services. In addition to this, they were able to give demonstrations and create partnerships. The conference, which took place in the Ironbridge Suite, had multiple speakers on each day of the event. Furthermore, on the first day of the event there was a gala dinner that took place in the Ludlow Suite. For more information about this event, please go to their website. For this event, StagecraftUK were the main event production company. For the exhibition, we provided and installed everything on the exhibitors stand package. This included shell scheme, lighting, and electrics. Additionally, we also installed the carpet for the stands and aisles, and provided the furniture to all of the exhibitors. For the conference, the event organisers made use of our auditorium which has both floor and tiered seating. Furthermore, we provided AV equipment and services, which included a live camera relay. The gala dinner was furnished with round tables, cloths, and chairs. A stage was also built and screens were installed ready for speeches and celebrations. To give the room an elegant atmosphere, starcloth was hung and lighting was installed to ensure the guests had a relaxing and joyful experience.